The biennial trade fair for haulage and urban transport professionals SOLUTRANS is where innovation and information in the HGV sector come together, for all businesses. 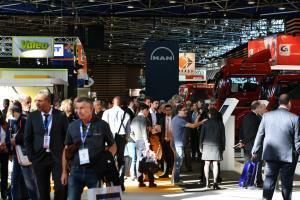 SOLUTRANS, the urban and road transport solutions show, will welcome you for its 15th edition, from 19 to 23 November 2019, at Lyon Eurexpo. 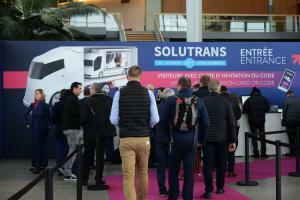 SOLUTRANS is the biggest meeting of industrial and urban electric vehicls from 3,5 to 44 tons. 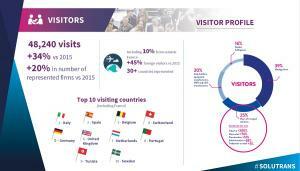 75,000 m² of exhibiting area, plus outdoor demonstration areas, all dedicated to the challenges of the market. The SOLUTRANS teams are present on the other main international shows of road and urban transport solutions, come to meet us! A look back on photos and videos of previous editions of SOLUTRANS - International Exhibition for Road and Urban Transport Solutions.